Don’t you feel that Delhi winters are incomplete without ‘Gajar Ka Halwa’, ‘Moong Dal Halwa’ and ‘Jabeli’? For us? Yes! 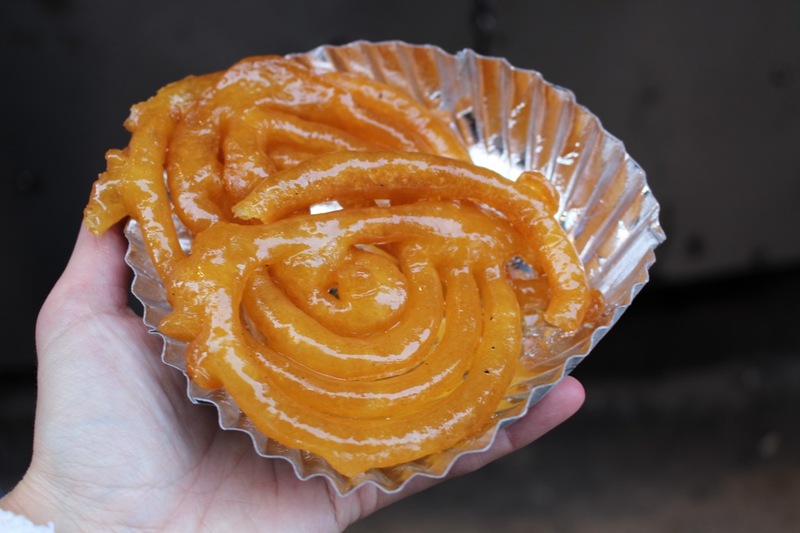 So we bring to you a list of best jalebi spots in town!! Where | 1210, Farash Khana, Chandni Chowk, New Delhi. Residing in the heart of Purani Dilli, this sweet shop has been spreading sweetness since the beginning of time. If you want to have some hot, crispy jalebis during a winter day, then this place is worth a visit. They’re located near Fatehpuri in Old Delhi, you won’t find it difficult to locate them! Where | Shop No. 47 Rodeo Arcadia, South City II, Sector 49, Gurugram, Haryana. 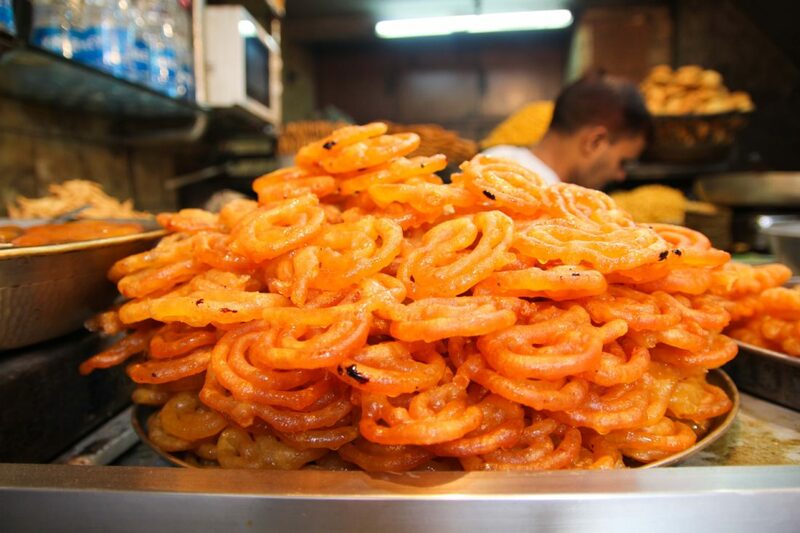 Not only you’ll get some mouthwatering jalebis but also in jumbo size. Yes! 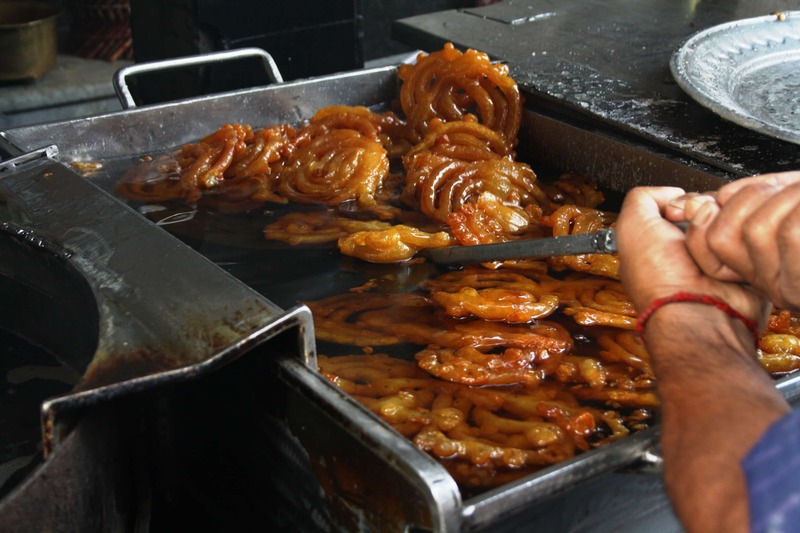 The place is popularly known to serve jumbo size jalebis to its customers. 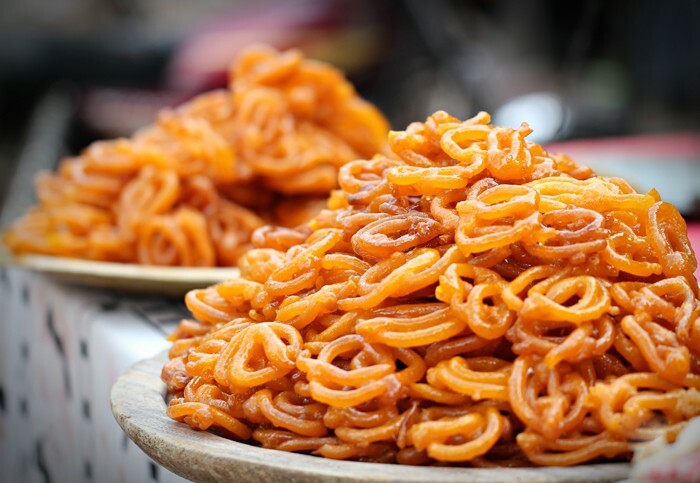 Made with pure desi ghee, jalebis here are to die for! Spotting this place is not a struggle since you can see it loaded with people. The place is known for serving the best jalebis in Gurugram! Where | Dariba Kalan, Chandni Chowk, New Delhi. The place obviously needs no introduction. 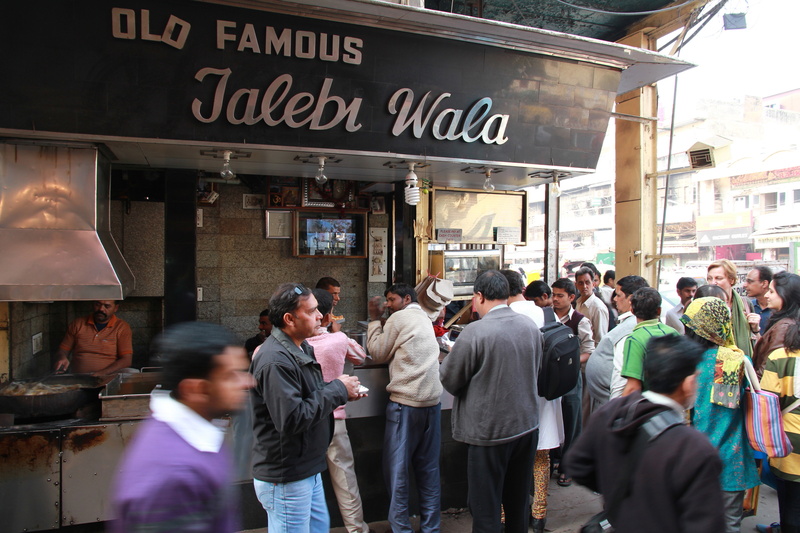 Old Famous Jalebi Wala has been serving jalebis to Delhiites for more than 20 years. 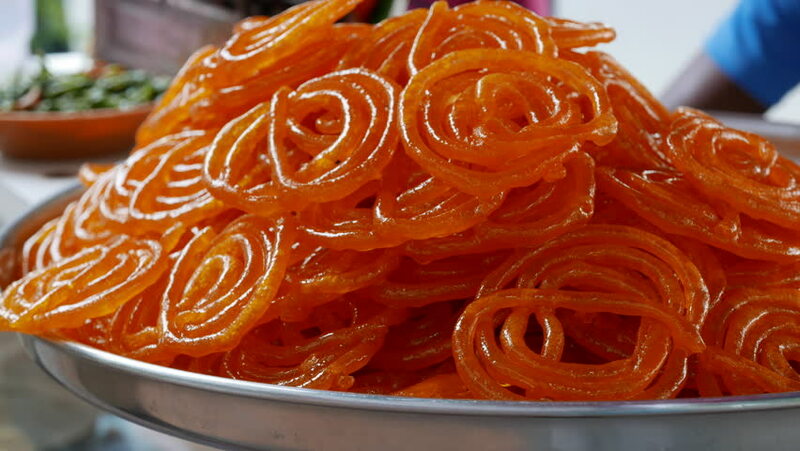 Just imagine hot crispy jalebi melting in your mouth. Heavenly? Yass!! Visit this place if you want to taste the best jalebi in town!! Where | 1469/1, Fountain Chowk, Chandni Chowk, New Delhi. Yes! The name of the place is ‘Jaleba’ store. But there is a reason behind it. This place serves huge jalebis and that’s why it’s called jaleba. All the preparations here are done in pure desi ghee. Forget your calorie intake just for a day and hit the place for some hot, delicious jalebas!! Where | Mandir Wali Gali, Yusuf Sarai Market, New Delhi. The place was established almost 40 years ago and ever since it has been sweetening lives. 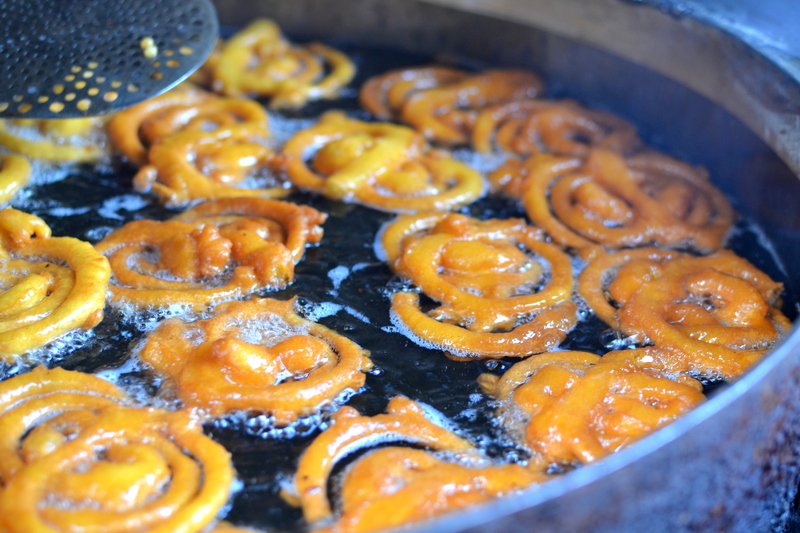 Here they prepare jalebis with pure desi ghee and they are super juicy and thick, just the way it should be. Apart from jalebis, this place is also known for serving some delicious kachoris and bread pakoras.